My first winter in the Midwest has been a little less than welcoming, to say the least. 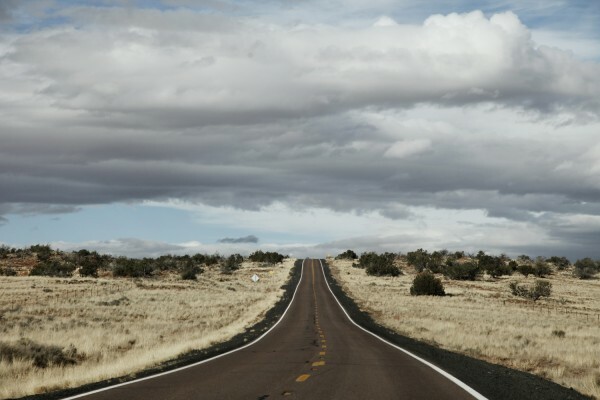 Back-to-back polar vortexes had us itching to get out, so we set our sights to the west for a trip through the mountains (and canyons) of Arizona. 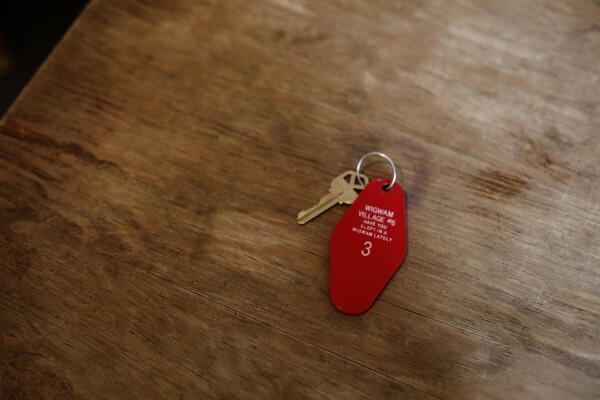 Our first destination? 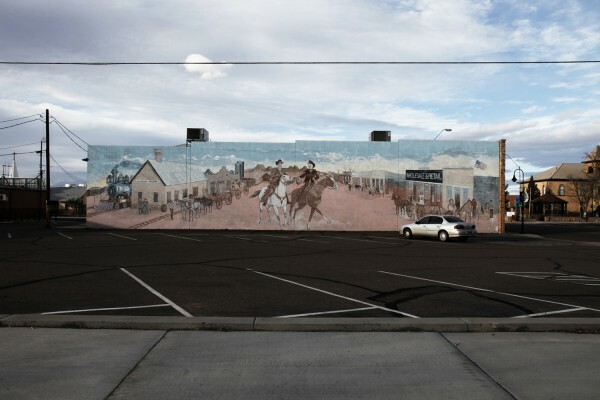 Holbrook, AZ. With little more than a basic map of our desired route, we set out on our trip with a few clean shirts in our bags and cameras on our backs. Arriving in Phoenix at 7 a.m., we hopped into our rental car (a practical four-door Chevy as opposed to the bright red Camaro we inexplicably declined) and headed north. 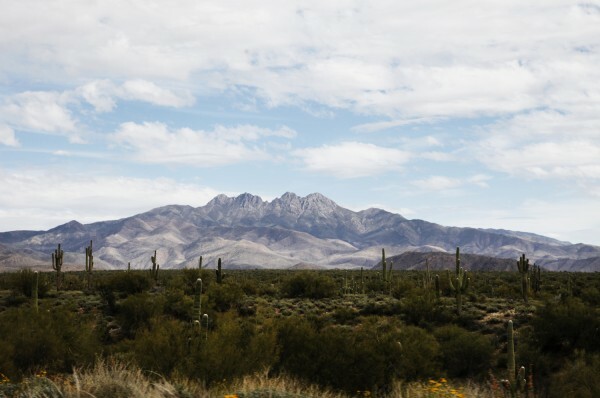 With some Johnny Cash on the stereo and the windows rolled down, we drove for three hours through sprawling mountains and vast desert scenes; each view more incredible than the last. Although surrounded by beauty, we were more than anxious to reach our destination, and after a few quick stops for photos, we had finally found our exit. 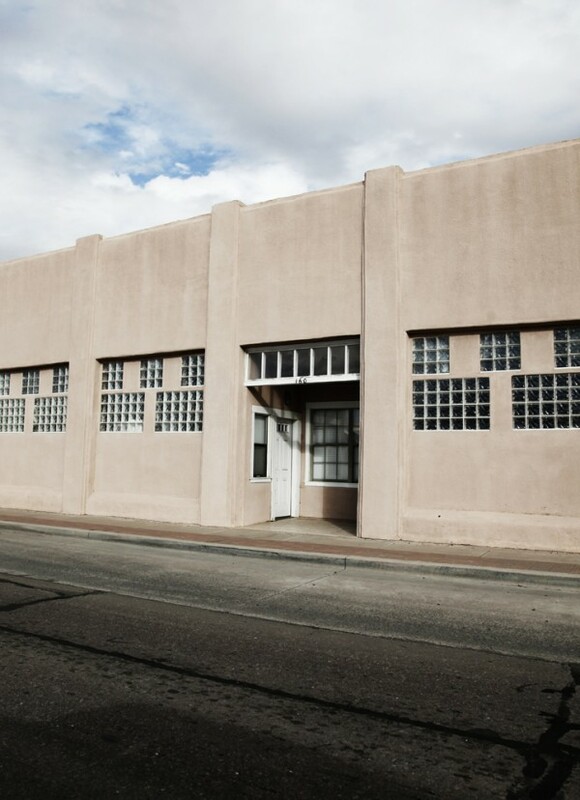 Located along historic Route 66, Holbrook is a city rife with Americana kitsch. 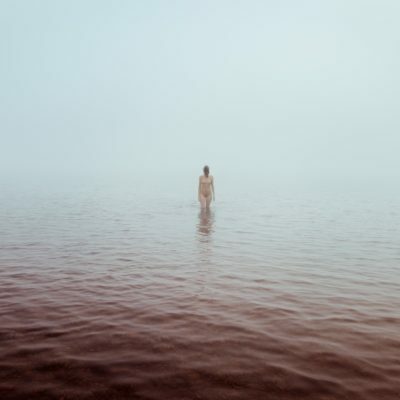 Upon entering, we were greeted with an emptiness like none other. 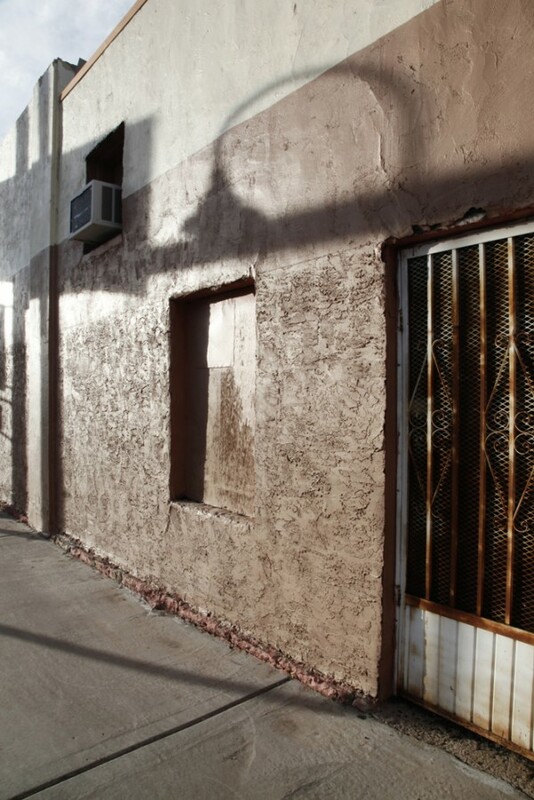 Abandoned buildings and gorgeous southwestern murals line the streets. 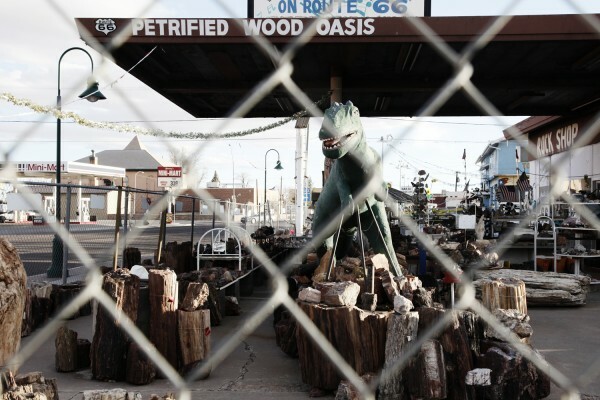 There are dinosaur statues everywhere in Holbrook, and although the main stretch of road doesn’t span too far, there is no shortage of color and vibrance to absorb. 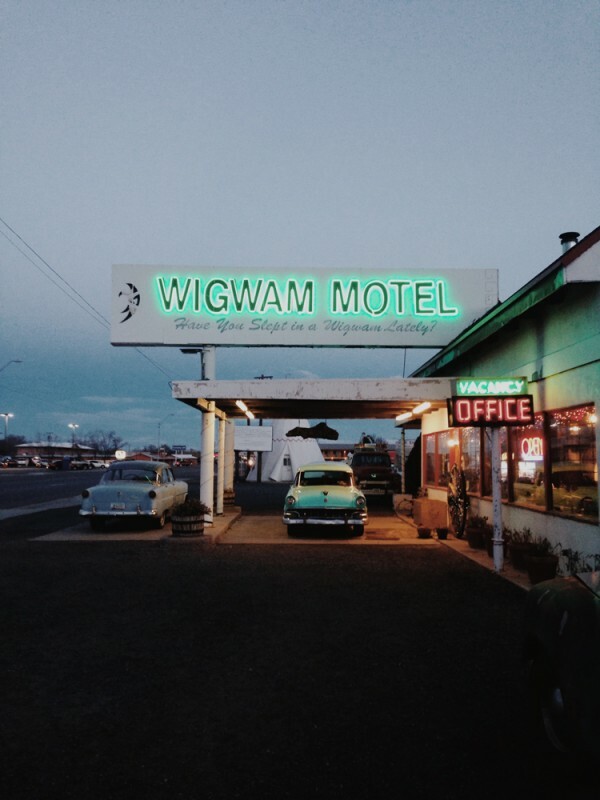 After exploring the streets of Holbrook, we were headed to our final stop: The Wigwam Motel. 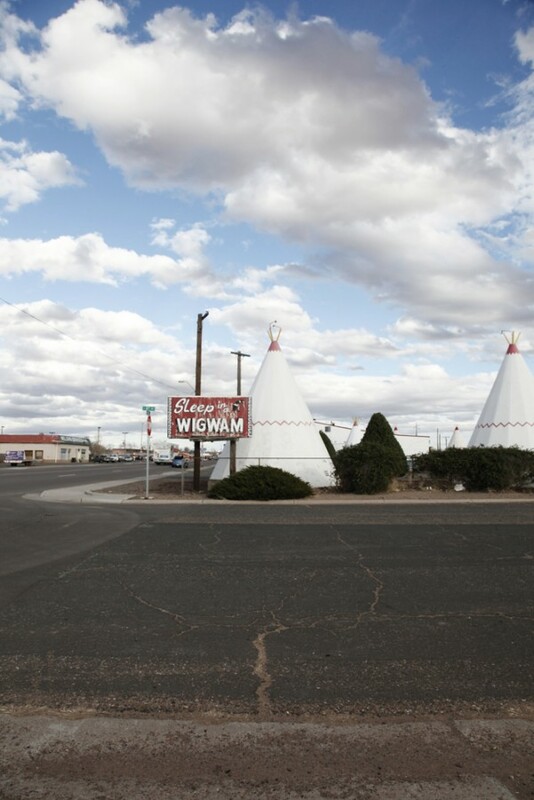 Misnamed and never corrected (a Wigwam is actually a dome-like structure, belonging to Native American tribes), the Wigwam Motel chain dates back to 1933. 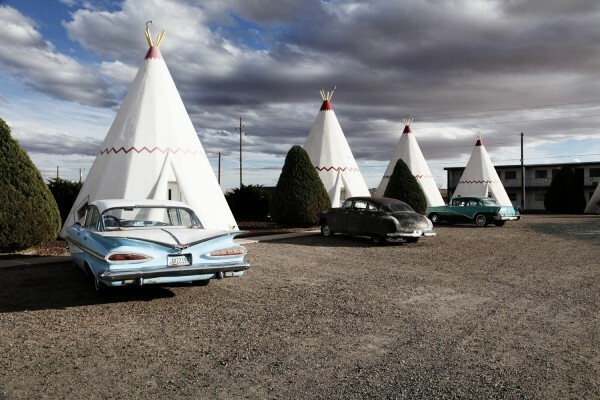 Although there were seven of the “Wigwam Villages” built between 1933 and 1949, only three remain standing today–two of which are located along Route 66. 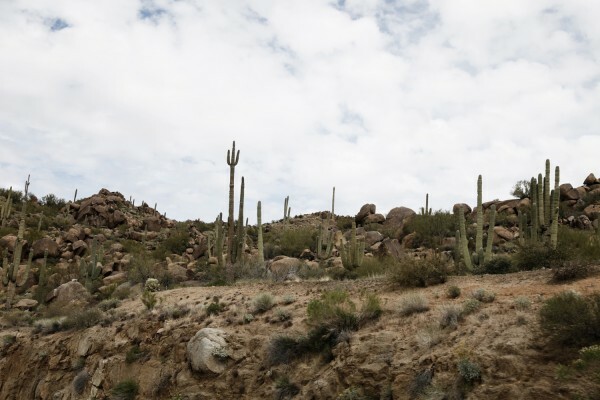 Built in 1950 by owner Chester E. Lewis, this particular village, “Wigwam Village #6”, features fifteen separate teepee structures in a semi-circle formation. 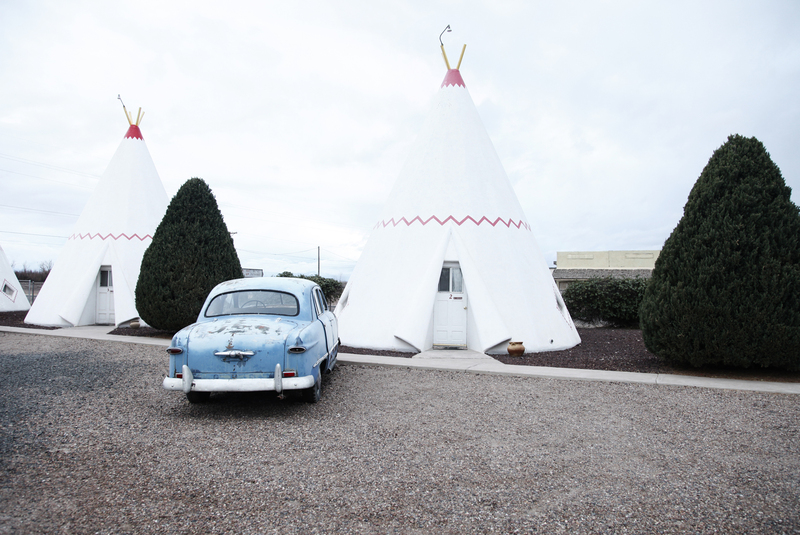 Although very few modifications have been made to the motel (they still do not offer telephones or an ice machine), the grounds are now scattered with restored, vintage vehicles. While the cars add a perfect touch to even the most amateur of photos, I personally find that their best use involves a glass of bourbon and some star-gazing on the hood. 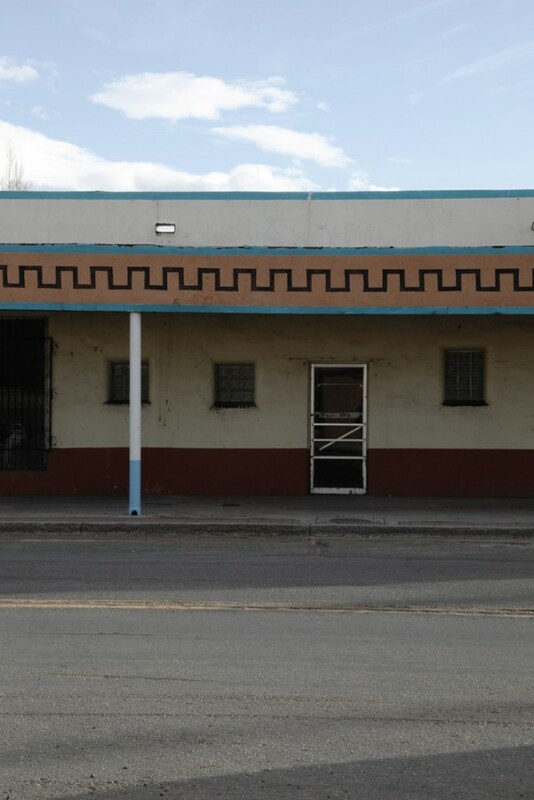 Before turning in for the night, I made a point to wander the premises, taking in everything that Holbrook has to offer and some of those aforementioned stars which never seem to be visible in the city. While wandering in the dark, I had one thought on my mind: the beauty of this old Americana landscape should be lost on no one.